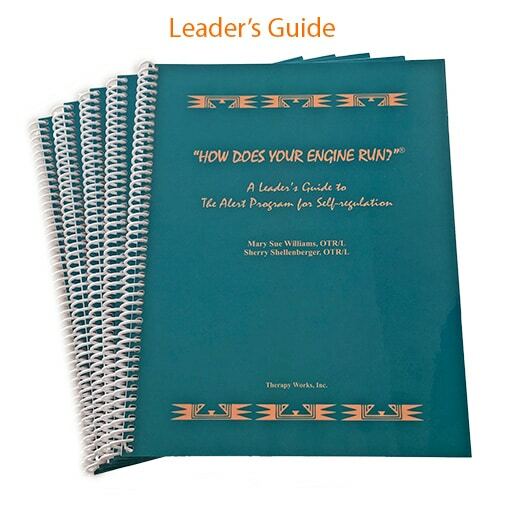 The Leader's Guide is the “whole enchilada” and contains everything needed to implement the Alert Program®: it explains the theory, along with step-by-step instructions and easy-to-implement activities. 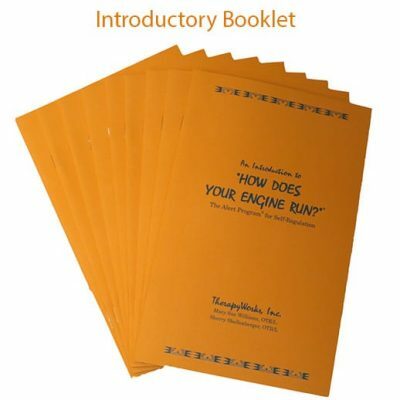 It was written to teach children how to identify and change how alert they feel, initially using the analogy of an engine. 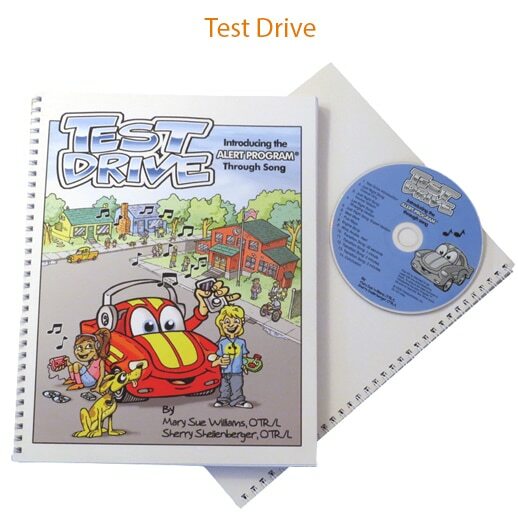 If a child is non-verbal or has special interests (such as a love of dinosaurs), instead of using the engine analogy, the program can be customized and easily adapted. With its three stages and 12 “mile marker” steps, this evidence-based practice approach is ideal for those who have attention problems, autism, developmental delays, and/or other learning challenges. The Alert Program® consists of a series of lessons and activities, that when incorporated with sensory processing techniques, has proven to be highly effective. The program has been adapted successfully for preschool through high school students and for adults. Bundle with Take Five! book for $59.00! Click here. Want CEU credit for this book? Click here. Buy 10 or more and save... Only $29.00 each! Overview of the underlying theory and concepts of sensory integration and self-regulation. Unique methods to teach other adults (teachers, parents, etc.) 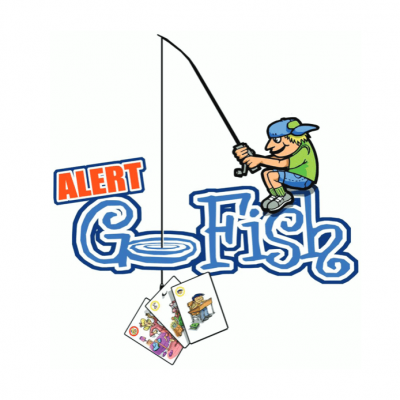 about the Alert Program® and the importance of self-regulation. Twelve detailed steps to teach independent self-regulation. Lots of low-budget activity ideas. Personal stories that clearly illustrate the program. All worksheets, charts, and pictures needed for the program (permission to copy Appendix pages is included). The Leader’s Guide is intended for individuals who are familiar with sensory processing techniques. Those who are unfamiliar with this theory can implement the program with consultation from an occupational therapist trained in sensory processing. 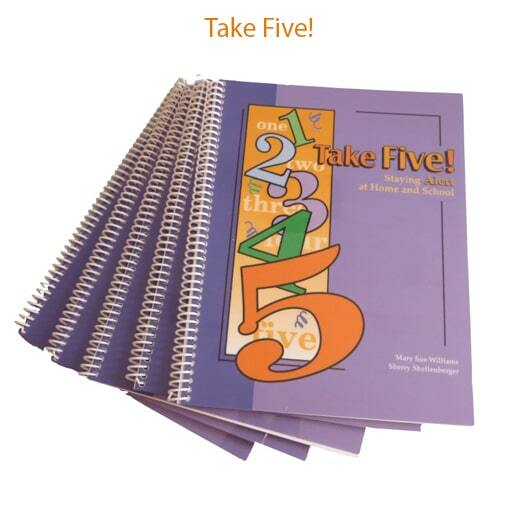 We recommend those not familiar with self-regulation concepts to begin by reading the Introductory Booklet and Take Five! book. Or take the Alert Program® Online Course (the Leader’s Guide is included in the price of the course).